• Further information has surfaced about the new Pet Shop Boys album ‘Super’, which was confirmed overnight on Thursday night. The boys’ new long player was, like their 2013 album ‘Electric’, produced by the great Stuart Price and will be made available in Australia on both CD and vinyl, as well as digital format. The LP is preceded by lead single ‘The Pop Kids’. Album track ‘Inner Sanctum’ is available as a grat track now. • Aussie R&B/pop superstar Andrew De Silva has unveiled a new song entitled ‘Afterglow’. The track (listen HERE) is featured as part of a new home-grown sci-fi movie entitled ‘Terminus‘, which has been hitting cinemas as of this week. • Universal Music will release PJ Harvey’s ninth studio album ‘The Hope Six Demolition Project’ in Australia in mid-April. The LP was recorded by Harvey and her band at Somerset House in London last year as part of a visual art exhibition entitled ‘Recording In Progress’ that saw the band working within a glass box in full view of the public. The first single to be lifted from it, ‘The Wheel’, was premiered on BBC6 on Thursday night. ‘The Hope Six Demolition Project’ is out on Friday April 15. 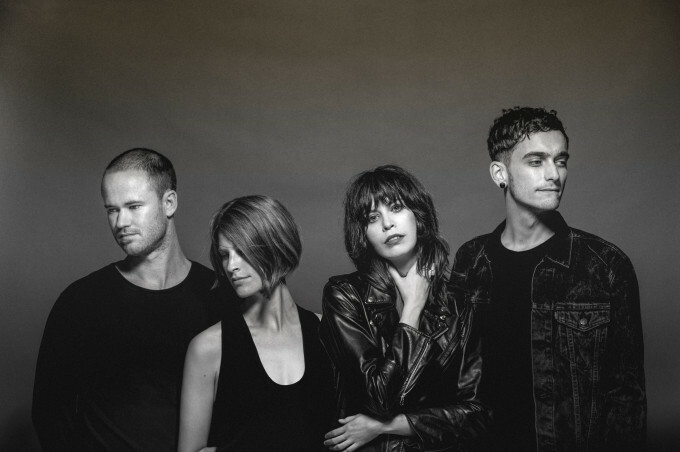 • The Jezabels have cancelled their upcoming ‘Synthia’ Australian tour due to the health of their keyboardist Heather Shannon. According to a statement from the band, “Three years ago Heather was diagnosed with a unique type of ovarian cancer. Although she has been able to maintain life as usual generally, between treatments, the time has come for her to undergo further immediate treatment which will require her to stay in Sydney. We were very excited to be hitting the road again in support of our third album, SYNTHIA, but sadly due to a sudden turn of events Heather’s condition requires attention now so touring in the proposed time frame is no longer possible.” Heather herself said, “I feel a deep frustration at this new roadblock, as I now have to take a step back and undergo treatment. The band means so much to me, and cancelling the tour has been a very sad decision. I am hopeful that in the near future we will be back on the road again playing music we love. This album means so much to us, and we were so looking forward to sharing it live with everyone.” She also encouraged fans of the band to donate to Ovarian Cancer Australia at www.ovariancancer.net.au. The tour was due to kick off in Melbourne at the end of next month. • Justin Bieber has finally relinquished the No.1 spot on the British singles chart, giving way to the new Canadian kid on the block, Shawn Mendes. Shawn ‘Stitches’ up the top spot, in the process notching up his first No.1 single globally. Not that Justin should be too disheartened, with ‘Love Yourself’, ‘Sorry’ and ‘What Do You Mean’ still occupying positions two, three and four, ahead of 99 Souls’ ‘The Girl Is Mine’, which is up from nine to five. What a way to make a living. Snakehips and Major Lazer edge into the top ten with their respective new singles, while Little Mix’s ‘Secret Love Song’ (with Jason Derulo) bullets from No.34 to No.16. All of David Bowie’s back catalogue, that peppered last week’s UK singles chart, drop. • David’s singles may have fallen from grace this week slightly, but his album ‘Blackstar’ (★) is still flying high on top of the British albums chart. It’s there for a second successive week, holding at bay albums from Adele and his ‘Best Of Bowie’ compile, which bullets from No.18 to No.3. New at No.4 is Panic At The Disco’s ‘Death Of A Bachelor’ and there’s a re-entry at No.7 for Jack Savoretti’s ‘Written In Scars’. • Another week on the Billboard Hot 100 singles chart and another week when nothing changes in the top three with Adele’s ‘Hello’ maintaining its position as the meat in a Justin Bieber sandwich; ‘Sorry’ at No.1 and ‘Love Yourself’ at No.3. Twenty One Pilot and Selena Gomez both edge one place higher to Nos.4 and 5 respectively at the expense of Drake’s ‘Hotline Bling’, which is down from No.4 to No.7. ‘Lazarus’ is the best of David Bowie’s singles this week. It debuts at No.40 in the wake of the singer’s recent death, ahead of ‘Space Oddity’ at No.42, ‘Under Pressure’ (with Queen) at No.45 and ‘Blackstar’ at No.78. • It’s on the US Billboard 200 Albums chart that David Bowie really shines this week, not only displacing Adele’s ’25’ from the countdown with his latest album ‘Blackstar’ (★), but notching up his first ever US No.1 album in an almost 50 year career. Adele and Bieber find themselves at Nos.2 and 3 as a result, with David’s ‘Best Of Bowie’ entering the countdown at No.4. As is to be expected, there are more David Bowie entries on the Billboard chart this week; ‘The Rise And Fall Of Ziggy Stardust And The Spiders From Mars’ at No.21, ‘Hunky Dory’ at No.57, ‘The Platinum Collection’ at No.65, ‘Nothing Has Changed’ at No.68 and ‘Let’s Dance’ at No.90. • How did David Bowie’s releases fare this week in Australia? 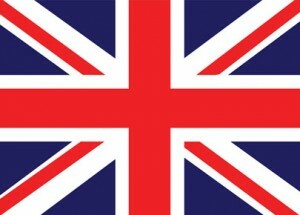 Who’ll be at No.1 on the singles and albums charts? You’ll find out with our regular weekly Chart Watch, live on the site from 6pm AEDT tonight.